Welcome to another installment of If My Book, the Monkeybicycle feature in which authors shed light on their recently released books by comparing them to weird things. This week Louise Miller writes about her debut novel, The City Baker’s Guide to Country Living, out now from Pamela Dorman Books/Viking. If The City Baker’s Guide to Country Living were a movie from the 1930’s it would be directed by Frank Capra, and star Jean Arthur and Jimmy Stewart. If The City Baker’s Guide to Country Living were an item of clothing it would be the moth-bitten wool pullover you stole out of your dad’s dresser before moving away. It still smells faintly of him: cigarettes, hair tonic, Right Guard, coffee. It is the sweater you always pack, despite its unraveling sleeves and threadbare elbows, and you reach for it when you need to feel loved. If The City Baker’s Guide to Country Living were a dog, it would be a large, shaggy mutt with the eagerness of a chocolate lab, the friendliness of a golden retriever and the low bark of a hungry mastiff. It would lean against your thigh when you are standing and will drape itself across your lap when you are sitting on the couch, even in the summer. 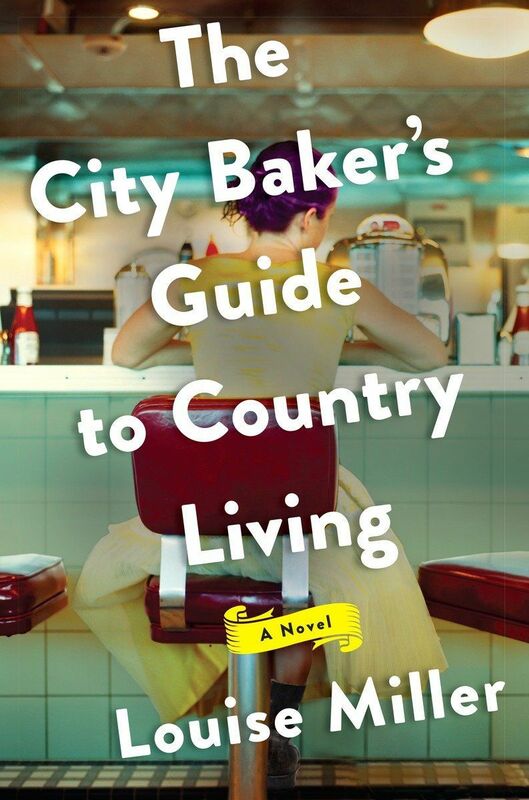 If The City Baker’s Guide to Country Living were an old-time fiddle tune, its name would be Fair Season. It makes your heart ache a little every time you hear it, but when the fiddler bows the first few notes you still have to get up and dance. If The City Baker’s Guide to Country Living were a carnival ride experience it would be riding the Ferris wheel with someone who rocks the cabin when you are suspended at the top. If The City Baker’s Guide to Country Living were a county fair snack it would be a bag of fresh kettle corn—salty and sweet in equal measure. Louise Miller is a writer and pastry chef living in Boston, MA. Her debut novel The City Baker’s Guide to Country Living (Pamela Dorman Books/Viking) is both an IndieNext and Library Reads August 2016 choice. She is an art school dropout, an amateur flower gardener, an old-time banjo player, an obsessive moviegoer, and a champion of old dogs. Find out more at louisemillerauthor.tumblr.com or follow her on Twitter at @louisethebaker.